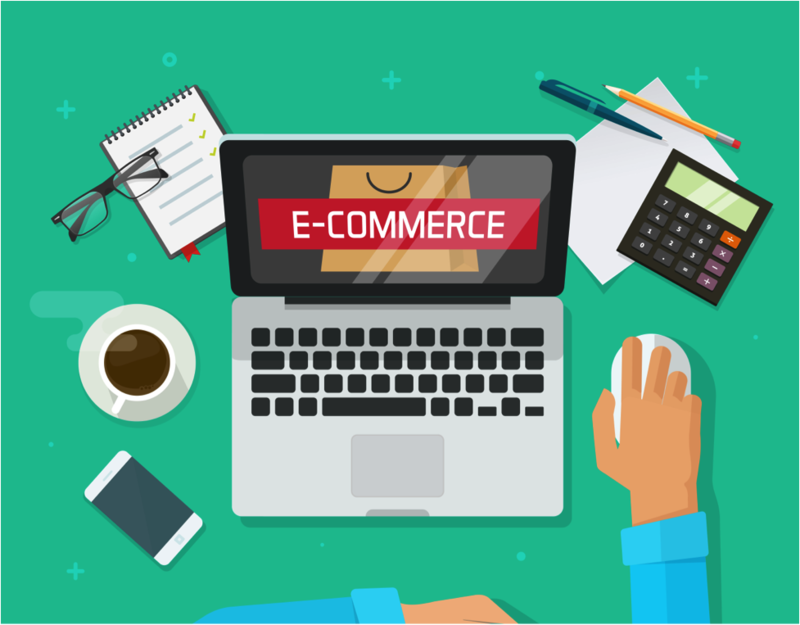 With the internet becoming a more prevalent aspect of our lives every day, if you’re inclined toward entrepreneurship, some of the best opportunities exist in ecommerce. Of course, a lot of questions come along with the notion of starting an online business—as well as a number of responsibilities. Here are a few things you need to know before getting into ecommerce. How will I build the site? Once you decide upon the nature of your business, the next thing to do is build the site. There are several ways to go about this. Some people will gravitate toward operating an ecommerce store because they already have the skills needed to create one. However, if you simply feel passionate about a product you want sell online, but don’t have that kind of expertise, you still have options. You can hire a web developer to build your site or take advantage of a provider like Shopify’s easy-to-use templates. If you hire a developer, you’ll wait longer to get your site going and you’ll spend more money besides. For most people, this makes the template strategy a better way to go. Whatever you decide, be certain your site is both eye-catching and easy to use. You want your website to get people’s attention long enough to keep them around, so they can use the simple-to-navigate page. How will I attract shoppers? Your next concern will be generating traffic for your store. You’ll find a plethora of marketing strategies, including developing organic blog posts, leveraging social media, pay-per click advertising, and many more. Using a logo maker to create an exciting and innovative design that symbolizes what your businesses is all about will help you set your business apart. You want the site to be easy to navigate, so choose a simple design and incorporate an automatic chat bubble so customers can ask a question if they can’t figure out a part of the website. This will make the site easier to use and automatically offers customer support—two birds with one stone. How much do I expect to sell? Developing your business plan before you launch your website is very important. If you don’t know how much you’re expected to sell, then you probably don’t know how much to invest, either. Without a plan, you could over or under spend on hosting, web development, inventory; the list goes on and on. That’s why you have to figure out how much you expect the business to grow. Maybe you’re not looking to make a million dollars; you’re just looking to sell a really amazing product at a reasonable price. Either way, look at competitive sites or try to get market estimates from industry sources and trade associations. How do I go about making sure my competitors don’t steal my ideas? With the world being full of talented entrepreneurs with innovative teams, you’ll have to create the most successful idea yet, with the best work involved. That’s why it’s useful to look into copyrighting parts of the business. This ensures your awareness of competitors, especially if your business ideas are similar. You need to protect your own ideas. Terms and Conditions for the ecommerce store will inform others that your IP address does in fact belong to you. By ensuring this legal ownership of intellectual property, you’ll be safe in the case of another party stealing your ideas. Then, on the other hand, if you don’t take this step sooner rather than later, copyright infringement might find you in a sticky situation. In regards to your online store, this can be a motto you come up with or the logos and catchphrases your branding team creates. If something similar by another company is out there, the law may not be on your side. Who are the people I work with? Creating an ecommerce website, you might be working all by yourself to make it work. However, the most successful companies usually have a variety of workers contributing in many ways. More talent means more skills and perspectives. A good thing to consider is a Shareholder’s Agreement. This will ensure that if there is more than one owner, most of the employees’ interests will be protected as much as possible. In the end, you do want to have a team that feels safe and indispensable. Additionally, a director’s service agreement will provide similar assurances for the management team charged with running the business. An employment agreement on the other hand is absolutely essential once the business is large enough to need more people. This protects you and lets your employees know their rights and responsibilities. Along with these, there are a number of others terms and conditions you may want to consider when starting the ecommerce business. How do I know what products to sell? One of the most critical tasks you’ll face is choosing the right products to sell. Ideally they will be something of which you have intimate knowledge, so you can answer any questions your first customers might have. Another advantage of choosing to work with something you know well and appreciate is it will be easier for you to get behind because you like it too. Said simply, you want to find your niche, and sell it. It’s also important to learn who your competitors are. Sizing up your competition, learning about their products, pricing and strategies will help you ensure you’re choosing the best products to sell on your ecommerce site. You might even glean some clever marketing and merchandising ideas. Here, we’ve covered many of the basics you’ll need to know before getting into ecommerce. As you can see, you’re going to have a number of details to attend to before starting your store. Keep in mind, these are just the basics. Running your business will be an ongoing educational process. But it’s one from which you will derive a lot of fun, a comfortable living and the satisfaction of providing for your customers.